as a medical doctor after 6 yrs studying medicine. "Minneapolis resident Ahmed Hirsi was only a few miles away from the powerful blast that killed hundreds of people in Mogadishu last Saturday. When he arrived on the scene, where a truck filled with explosives was detonated, Hirsi saw pavement covered in blood; bodies decapitated and shattered, burned beyond recognition. As the deadliest single attack in Somalia’s history, the explosions killed more than 300 people, including a Bloomington man — a death toll that’s expected to rise as crews continue to dig into the rubble for signs of life. Just hours before that fateful afternoon, Hirsi had posted smiling photos of himself on Facebook, urging young Somalis in the U.S., Europe and Canada to return to the East African country and get involved in efforts to rebuild it. On Monday, however, Hirsi returned to Minneapolis, still reeling from the shock of the bloody attacks that rocked Mogadishu, where he spent 10 days with a group invited by the Somali government to review parts of the country’s new constitution. "On Saturday morning, Maryam Abdullahi Gedi made breakfast for her family, packed her books and laptop and set out across Mogadishu, the battered capital of Somalia, to see her supervisor at Banadir University about her thesis. 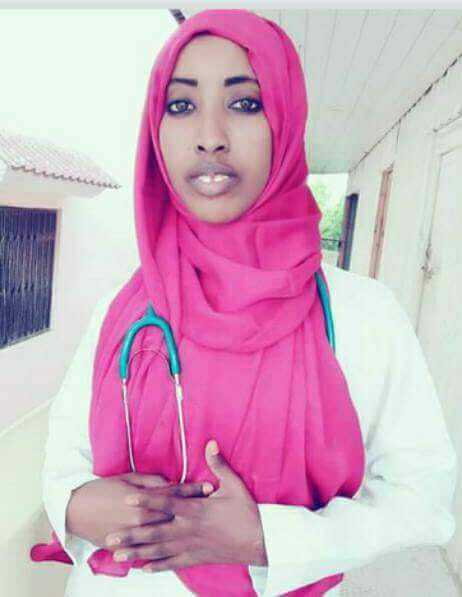 She was excited about the prospect of her graduation as a medical doctor this week. Her father – who flew in from the UK to attend the ceremony – found himself at her funeral instead. Gedi, 24, was among more than 300 people killed in a massive bombing in the centre of the city on Saturday afternoon." "More than 75 union members are among the dead. Among them, at least 50 transport union members and more than 25 hotel workers. Condemning the attack, Mohamed Osman Haji, chairman of the Somali Congress of Trade Unions (SOCOTU), pledged SOCOTU’s support to the injured people and called on the workers and the people of Somalia to remain calm and exercise restraint." UNDP, Journey to Extremism in Africa: Drivers, Incentives and the Tipping Point for Recruitment. 2017. 128-page research report, based primarily on data from Nigeria, Kenya, and Somalia. So, there's a—you have a problem here. Why would the African Union allow two countries who are neighbors, who have conflict of interest, to engage in Somalia? For instance, the Ethiopians control much of the southwest part of the country, and the Somali forces cannot really go there. They are dominated by the Ethiopians. And the Ethiopians and the Kenyans are nurturing what I consider to be tribal fiefdoms, much like apartheid and sort of bantustans, such that the central government never gains full authority across the country so that peace and order can be restored. So, the United States is an ally of the Ethiopians. That's where we use our drones to bomb places in the region. The Kenyans are close allies of the United Kingdom and the European Union. So, the question is really—Somalia is not the issue for them to save. It's about sort of making sure Kenya and Ethiopia are doing what they do in the region in order to support the United States and the European Union.